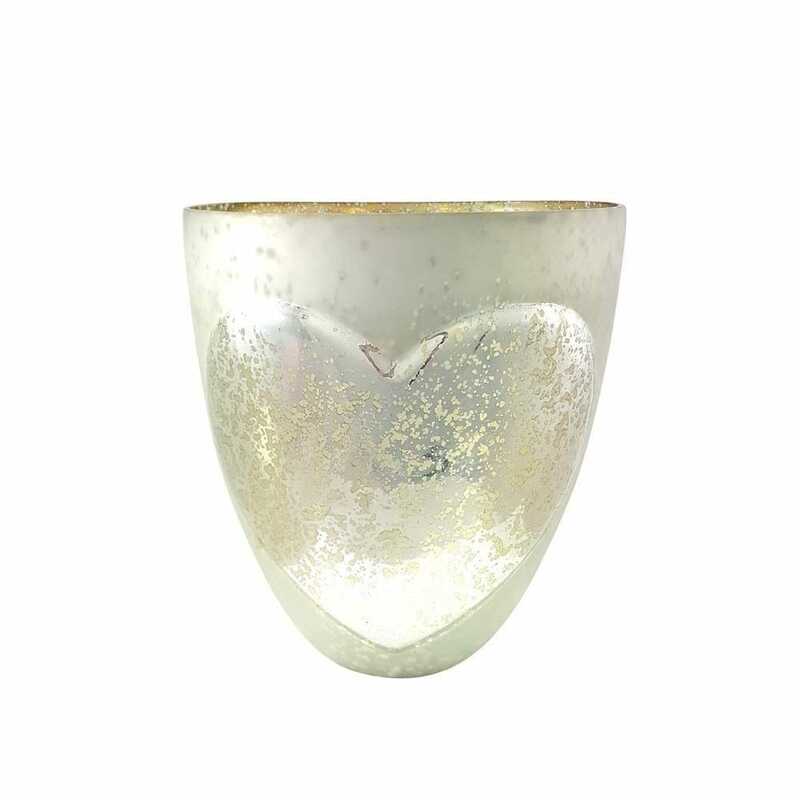 Buy Nordic heart candle holder: Scandi-style pearlised candle holder with a silvered glass heart and gold interior. Perfect for enjoying a cosy candlelit evening. Made from glass.